Carolina Herrera CH Men Prive is classified as a fragrance of leather. Carolina Herrera CH Men Prive Eau De Toilette 100ml. 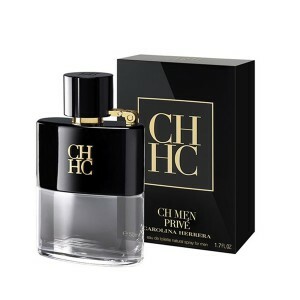 - Charm, respectability, solemnity - a brief description of you can give attractive aroma CH Men Prive fashion house Carolina Herrera. It is perfectly successful and purposeful men for whom the management corporation prosperous and subjugation of women's hearts is given equally well. It is classified as a fragrance of leather. Its elegant and luxurious composition begins bitter notes of grapefruit, whiskey and fresh pomelo. The "heart" of the perfume dominated by spicy red thyme, lavender gentle, mysterious sage and cardamom. Base fills with warm woody notes, tonka bean and benzoin. Defiant, and at the same time stood as expensive whiskey, perfume CH Men Prive harmoniously complements the image of a prosperous gentleman. Expression of the components of the composition shows good taste of the owner and a sense of high style. Top note: whiskey, grapefruit, pomelo note "Hearts": lavender red thyme, cardamom, sage Final note: benzoin, woody notes, tonka bean. Man CH Men Prive smart, successful and rich. He looks confident and curious, his eyes are smiling, it seems that this man sees and understands more than the surrounding. Aroma CH Men Prive was created for the true seducer, to whose seduction is not the goal. It has a provocation, a challenge social stereotypes, a passion for life. This is its strength. He played for high stakes and trust his choice. CH Men Prive man knows what he wants and knows how to achieve this. All in his hands.